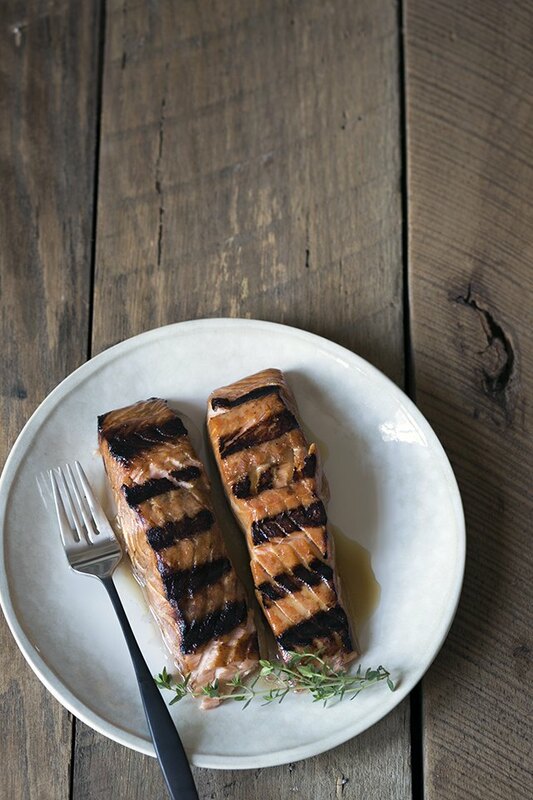 Salmon is one of the easiest and healthiest meals you can prepare on the grill. Both preparation and cleanup are a breeze. When it comes to seasoning options, the sky is the limit, so it's possible to enjoy this buttery fish again and again without growing bored. 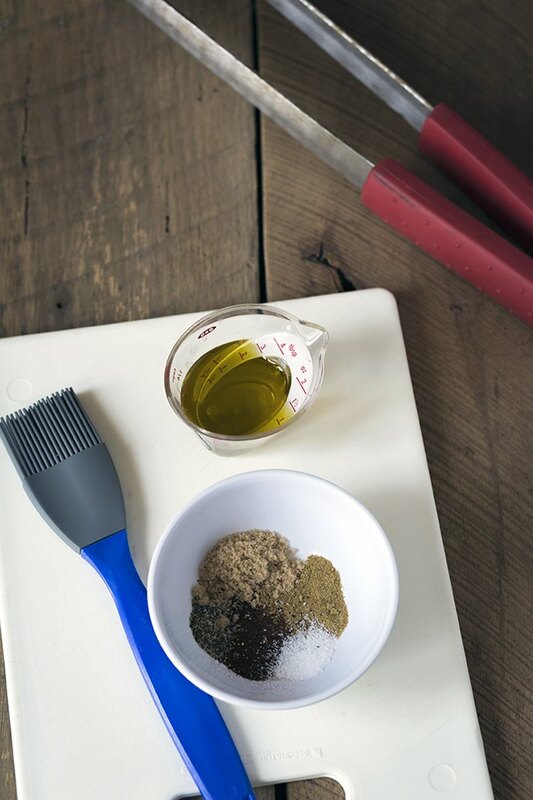 Most marinades and rubs require just a few simple ingredients, and are all prepared using the same basic steps. 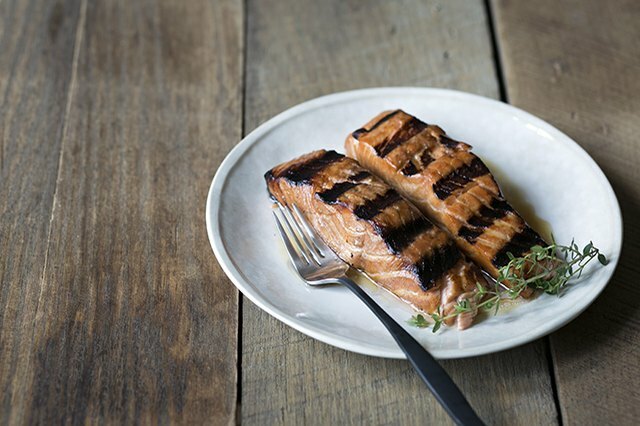 For best results on the grill, use skin-on salmon fillets. For gas grills, start on high heat, oil the grates thoroughly, and grill for 1 to 3 minutes skin side up to get grill marks. Use tongs to carefully turn over the salmon, and then lower the heat to medium. Cook for another 2 to 4 minutes, until cooked through. (If using a charcoal grill, follow the same steps but use fewer coals on one side for indirect "medium" heat). The length of time will depend on the thickness of the fillets. It's better to undercook than overcook salmon. 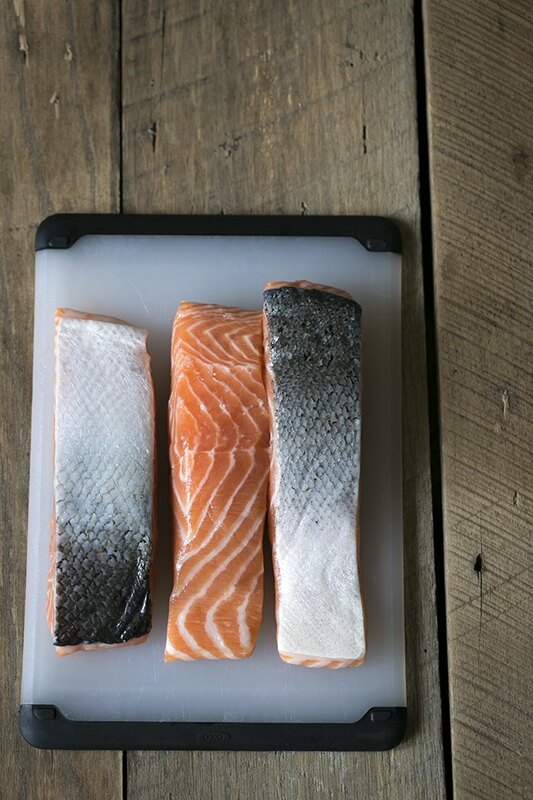 Salmon pairs with a wide variety of flavors including ground spices, dried and fresh herbs, aromatics, condiments and sweeteners. Here are some excellent options for mixing and matching, along with several suggestions for marinades and rubs. 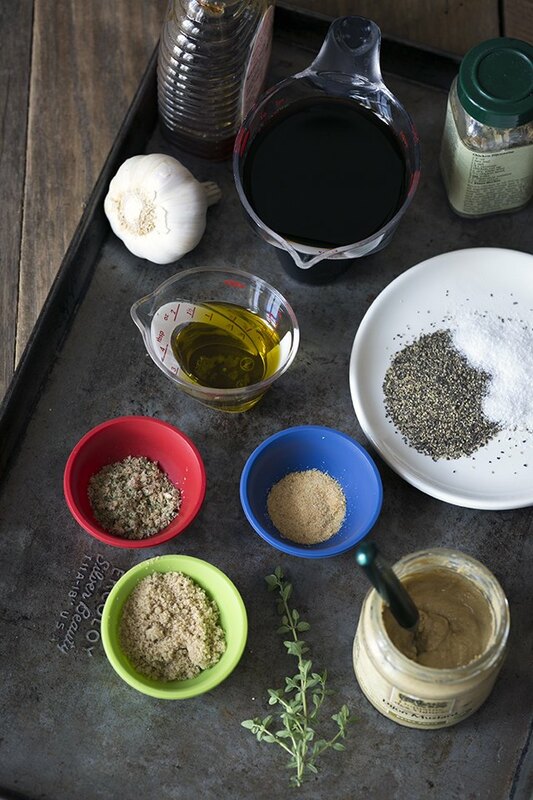 These marinades can be scaled up or down as needed. Each recipe below should be enough for approximately 2 to 3 pounds of salmon. 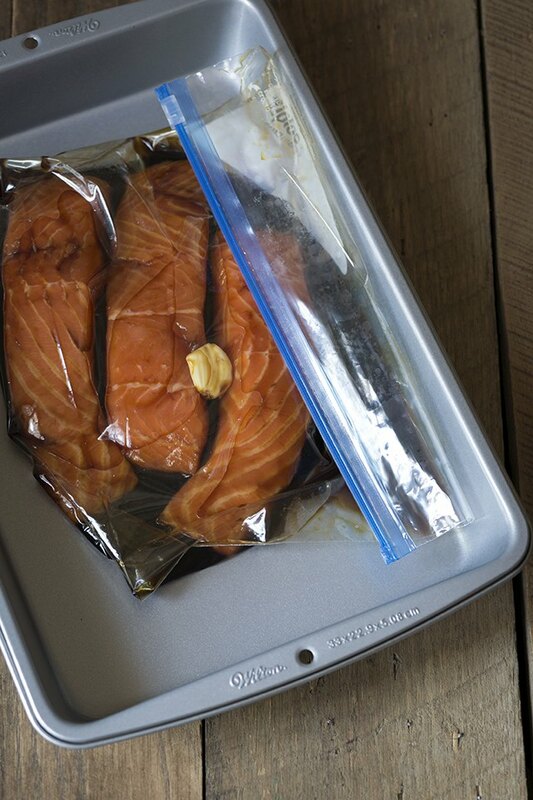 Place the marinade ingredients into a sealable plastic bag and then add the salmon. Always marinade for at least 20 to 30 minutes before grilling. For extra insurance, I recommend placing the sealed bag into a baking pan as added insurance against spills. For rubs, start by combining the spices in a small bowl. Brush a small amount of extra virgin olive oil onto the salmon, and then generously pat the rub onto skinless side of the fillets. Preparing grilled salmon by first searing it in a cast iron grill pan and then baking it in the oven.